What a site migration is and when your site is a good candidate for it. The operational and technical challenges of moving, redeveloping and redesigning a site. A 10-step approach to migrating your website. The best pet tortoise tracking device is a piece of colorful string. The scariest haunted house plays to real-life fears, not ghosts and monsters. Traffic to the karaoke machine rental website jumped when they ditched the Flash. What components of SEO should be built into the strategy stage. 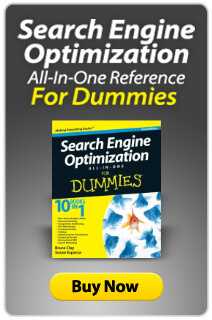 How to build a search engine-friendly site. What to watch out for in the launch phase plus tips for promoting your site long after it goes live. With Google's mission to clean up unnatural linking practices, site owners have been scrambling to ensure their backlinks are clean and free of anything that might raise a red flag for Google. Google has recommended site owners try to contact other webmasters to take down any if-y links to their site. But Google also stated it realizes that it's not always easy to get other webmasters to comply. Enter Google's disavow links tool -- something some site owners have been waiting for. However, Google's Matt Cutts advises to use the tool only after you've put the effort in to cleaning up your backlink profile as best you can. And he reiterates that most sites don't even need this tool under normal circumstances. The tool is made for those who have been practicing especially harmful linking techniques. Cutts says Google is working on ways to convey the types of links that are raising red flags within the Webmaster Tools warnings that are sent out to inboxes. He warns, however, that it will not be a comprehensive list of the items that need to be addressed. So far, looks like this will be up to the webmaster to decide. If you've got your head buried in work most days and find yourself missing out on new developments in search and social marketing, one smart remedy is dedicating a couple of days to catching up. Attend a local search conference and SEO training course on an annual basis and be confident that your strategies account for the present state of search and social. SMX East in New York City was the online marketing industry's big fall conference on the East Coast. The show and training class was a week of presentations about cutting edge strategies, website markup and success metrics shared by industry veterans and thought-leaders. For write-ups of the tactics and knowledge shared at sessions liveblogged by Bruce Clay, Inc., read this thorough SMX East 2012 recap. Topics covered include SEO metrics to watch, link-building and keyword research tactics that work today, strategies for Schema, persona-based marketing, considerations for advancing your Internet marketing career, and a critical, future-looking perspective of SEO. For a deep-dive into the practice of SEO, attendees opted for a one-day training session with Bruce Clay. The updated course outlines SEO best practices in the context of Google's aggressive treatment of manipulative links and low-quality content, algorithm updates dubbed Penguin and Panda. The one-day workshop is taught at major search conferences across the country throughout the year, while a full-length SEO training course takes place every other month in Southern California. SEO training with Bruce Clay is a time-efficient way to maintain working knowledge of SEO under Google's ever-changing guidelines. When you work hard and learn smart, your SEO will stay on top. Back in June, Justin Timberlake became co-owner of MySpace and in September, a new look and feel unveils, receiving mixed reviews. Internet Marketing Ninjas acquires Crea8asiteforums and founder Kim Krause Berg joins the team as usability and user experience analyst. BlueGlass expands and with it joins Chris Hart (formerly of WebMetro and prior to that, Bruce Clay, Inc.) as its director of account management and client services and Michelle Lowery (formerly of Outspoken Media) as its editor at the helm of the content team. Annick Perrin was named managing director of digital marketing firm Initiative Sydney. Filling her role at rival company Ikon Communications, Pat Crowley was promoted to the role of sole managing director. DMA2012 direct marketing conference takes place in Las Vegas from October 13 to 18. Bruce Clay spoke on Using Content Curation to Drive Marketing and Revenue. This week Las Vegas also hosts PubCon. A virtual video conference experience has been added this year, opening more than 200 sessions of content to the public. It was at PubCon this week that Google's Matt Cutts announced the highly anticipated link disavow tool. 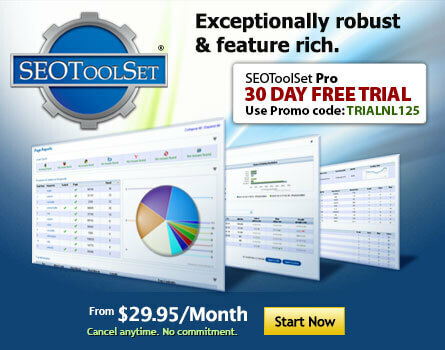 The newly updated SEOToolSet® standard and advanced training and certification course will take place in Simi Valley, Calif., from December 3 to 7. Online Marketing Summit Santa Clara, a digital marketing conference and exhibition, takes place October 22 to 25. Internet Summit digital strategy conference, including tracks for start-ups and tech for the C-suite, comes to Raleigh, N. Car., November 6 to 8. Ragan PR and Social Media Summit is a one-day digital communications conference in Cary, N. Car., on Nov. 30. Attendees who can't be there in person can also attend virtually via summit webcast. Tampa, Fla., hosts BlueGlass X 2012, a digital marketing conference, on December 3 and 4. This Friday, October 19, Bruce Clay Europe's Ale Agostini presents a training workshop focused on post-Penguin SEO at the SMAU conference in Milan. The SEO copywriting workshop will be held in Sydney on October 26 and November 28. The half-day workshop teaches principles for writing content to support SEO and conversion. Google's Matt Cutts announced via Twitter that a small algorithm change will reduce low-quality "exact-match" domains in search results. Google confirmed that having authorship status multiplies your visibility in many ways. Google will display three additional links to similar articles by the author if the user resturns to the search results after a certain period of time after reading an author-tagged search result. Former Googler and now CEO of Yahoo! Marissa Mayer welcomes a baby boy. This is the first child for Mayer and her husband. Twitter introduces a user directory that allows people to find user accounts in search engine results. This is the second move Twitter has made recently to increase visibility in the search results, with the first being an update to its robots.txt file. CEO Mark Zuckerberg thanked Facebook members for reaching one billion active users on the service each month. LinkedIn introduced one-click Endorsements and the ability to follow influencers, or popular members of the site. Both moves give users the ability to create looser connections and lighter touch points on the network. Google made a number of notable changes to its products and services. Marketers can use a new product, Tag Manager, to deploy and manage tags (AdWords, Google Analytics and non-Google tags) in one convenient interface. Google updated its webmaster guidelines, with a number of additions admonishing deceptive and manipulative practices. It includes best practices for rich snippet implementation as well. Several product closures and changes are reported in a "spring cleaning" post on the Official Google Blog. One change not listed there is an algorithm update that penalizes page layout with too many ads above the fold. This is the second iteration of the Top Heavy update. Another new introduction by Google is a Meta Keywords tag for news articles. "news_keywords" is slated for use by Google News source publishers so that they can take more creative license with headlines while still getting to define a content piece's keywords. Google Authorship got more official as the search engine invited blog and web authors to register for Google Authorship participation. In a rare admission of failure, Apple CEO Tim Cook apologized for the lackluster performance of Apple Maps. The letter came after the map application was widely panned as poor after being automatically pushed to all iOS users who updated to the newest system versions. YouTube's search algorithm now accounts for time-watched in ranking videos. A report by market research company Lab42 surveyed social media users on their brand interaction on Facebook and found that half of respondents assign higher value to a brand's Facebook page than its website. Facebook made an unexpected move to monetize in expanding Promoted Posts to individual users in the U.S. The pay-to-play model was previously the realm of brands and pages of a commercial nature. Incorporate Demographics API changes into Keyword Tools. Fix problem with Ranking Reports where dates would be missing depending on keywords or keyword lists used for the monitor. Fix problem with accepting gzipped pages in various analysis tools. Add better error handling in our Ranking Monitor. Fix problem with database replication. What SEO Metrics Are Important?